Can never get enough of Darcy and Elizabeth…. I would marry the colonel… did I say that already? Don’t include me in the give-a-way… I have the book and I just wanted to comment. I love Nicole’s work and I simply loved this story and absolutely swoon when I think about this Darcy and Elizabeth. It was 5-stars for me… all the way! Wow!! That is all I can say… just wow! Thank you for stopping by, Jeanne! I treasure your encouragement. I am so glad you loved it! I always enjoy reading your breakdown of a story. I’ve already determined to read this one like I do each of Nicole’s books, but its nice to know what to expect. Thanks, Rita! Rita is an angst junkie. That should give you an inkling! Another Portuguese reader here, so this is definitely a must read for me! Wait until you read Amo-te!!! I think I went back a dozen times just to read it over and over and over again!!! I am having some trouble with Amazon right now, hopefully am able to read it very soon! You haven’t received the correct file yet? Oh, I am not even telling you the mess I made…! It’s embarrassing! Do you need a copy of the book? I’m happy to help you out. Initial publication of this book caused me some gray hair! Got it sorted! Starting to read soon! 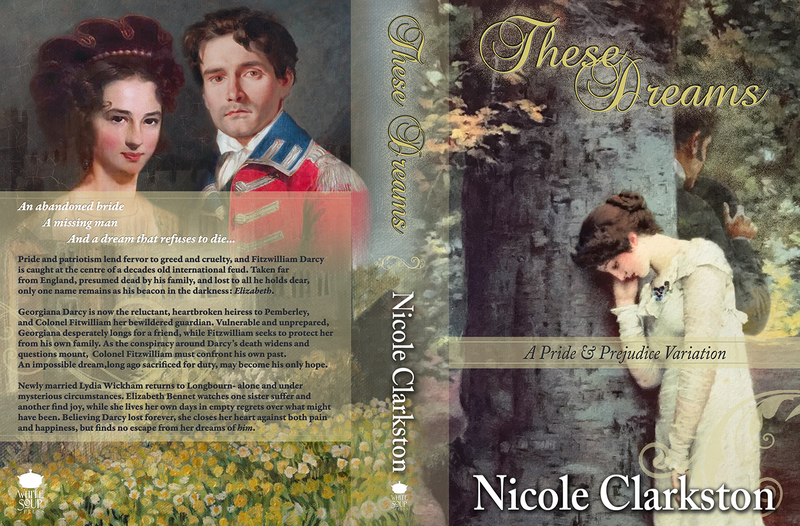 Love Nicole’s books especially the North and South – there are so few of them written. That’s what the next one will be! I am glad you love John and Margaret too. They are pretty special. Fabulous review, Rita! I loved this too from start to finish. It’s great to see Nicole’s book enjoying such terrific success already! Thank you so much, Claudine! You guys make writing a book so much fun. I can’t wait to stop by your blog in a couple of days! This looks really fascinating! Is there a paperback version? It is, and yet it is not. In another bizarre twist of Amazon and plagiarism and copyright, I got flagged yesterday to verify ownership and publication rights to the book. They have accepted my evidence, but the link was pulled down temporarily. It should be back again soon. Fabulous review, Rita. You did an excellent job giving enough details to entice and draw in readers without giving any spoilers. Very good. I loved your assessment and I agree 100%. It is one of the very best books I have read. It is quality reading! Thanks, Rita, for sharing your thoughts with us. Thank you Janet! I find it is easier to do a spoiler free review when the book has so many interesting aspects to point out. It is not just the excellence of the characters, but everything else in it :)) This book is perfect!!! Thank you, Janet! And thank you for egging me on the whole time. I hope I haven’t caused you heartburn or gray hair, but I treasure your support and encouragement. That is to say nothing of that cover! I still shiver every time I see it! Sounds wonderful. I especially like that you mention that not only is there an engaging love story with ODC but between the Col. and Amalia. What a perfect review Rita. I agree with every word. 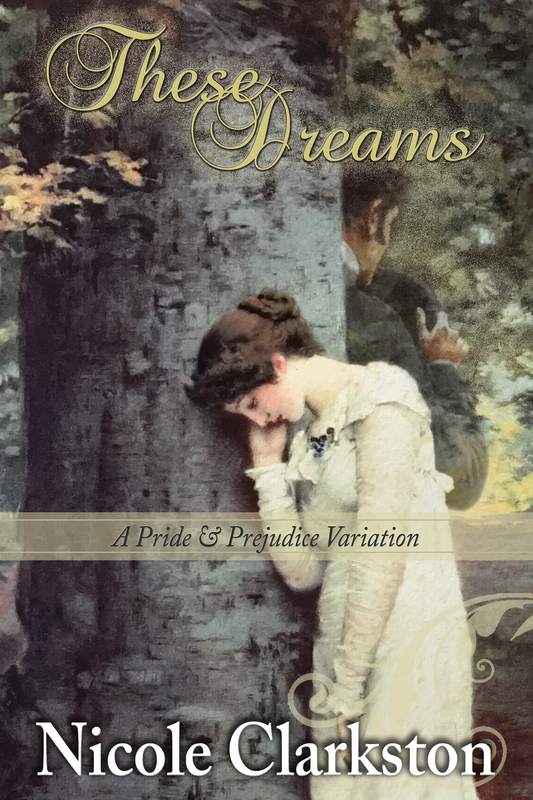 The connection between Darcy and Elizabeth is swoonworthy. You know me Rita and my aversion to angst but I’m obviously getting to like it more as this book was amazing. One to ‘re read several times. Thank you Glynis. You know I love angst, but I was sure that even people who don’t usually like it would love this book, because there are always several tender moments that will fill the hearts of readers, and the story just gets in our bones and we cannot let it go until we finish, right? I am an angst weenie myself! I like happy stories, if that gives you any encouragement. It will all be over soon! Fantastic review! I’m nearing the end of the book, and it’s so so good! Thank you, Anna, I am so glad to hear this! Looking forward to stopping by in a few days! Yes,my dear,you certainly do love angsty stories!!!! I’m so looking forward to reading this as everyone seems to be singing its praises!!! What she didn’t tell you is that she is the reason for the cultural accuracy. Rita proved an invaluable resource for history and language help, and I would have been lost without her! Oh, Nicole, another book with your classic angst and romance? I’m in. I’m an angst lover like Rita, and your books have just the right touch of it to appeal to all readers, even the angst weenies. And swoony romance, too. I have so many good books in my “unread” file in my Kindle I was going to try to read a few others before this one. But if Rita says it’s her fave ever of your books, I have to read it soon. Thanks, Rita, for an excellent review that teases the reader and tells enough to entice. Thank you, Suzan! We seem to publish on about the same schedule, because I have your new one sitting at the top of my list! I hope you enjoy TD, and I’m looking forward to your dashing cover tomorrow! I love angst, even though it makes my heart and eyes hurt. Been following this book tour and really cant wait to read Nicole’s new book!! Thank you for stopping by, Priscilla! Good luck in the drawing! Exquisite book, I simply can’t praise it enough!!!!! Such an original plot, so complex and full of twists and mystery, and what a bond between Elizabeth and Darcy! Magnificent! Thanks for writing this amazing story, Nicole, and thanks, Rita, for the beautiful post and everything else. Please don’t enter me in the giveaway, I’ve already devoured this gorgeous book. Best wishes on the blog tour, Nicole, and I hope your muse is busy busy busy. I believe it is your turn, milady! I dearly hope you have something in the works. I’m still starry-eyed from The Unthinkable Triangle! Thank you so much for stopping by, Joana. Cornwall is calling my name… one of these days! I’m rooting for you to win, Becky! Wonderful review, Rita! Can’t wait to meet the new characters! I hope you enjoy them, Maria! I agree that Nicole writes fabulous books, and I have loved them all. Thank you for your review. I, too, like some angst. This is a totally different plot! Thank you for the giveaway. Thank you for your kind words, Eva! It means a great deal to me. I hope to have many more to follow! Great review Rita! I love when Colonel Fitzwilliam has a love story too. I can’t wait to read this story. I’m loving the blog tour! Hello, Dung! Good to see you 🙂 I’m glad to hear you’re enjoying the tour! Thank you for stopping by. This is the first review of These Dreams that I read and now I know how the story goes. Rita, thanks for giving me a peek into what happened to Darcy that cause others to believe that he is dead. I have been saving this for a day free from physical therapists, nurses, rehab and doctor’s appointments. I know it is long and full of angst and want to be able to read as much as possible in one day as I don’t know if I would sleep with Darcy thought to be dead and a prisoner undergoing torture!